Learn to share your publications from a specific page. 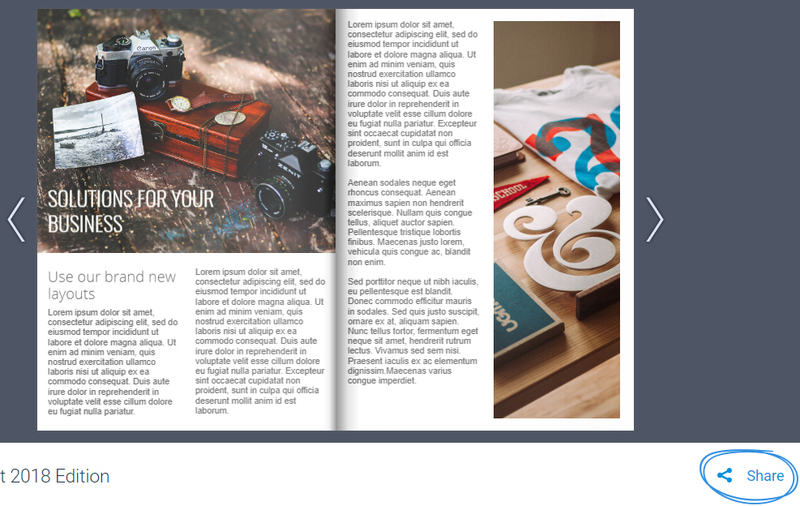 Sharing from a specific page allows you to highlight particular content within your magazine. 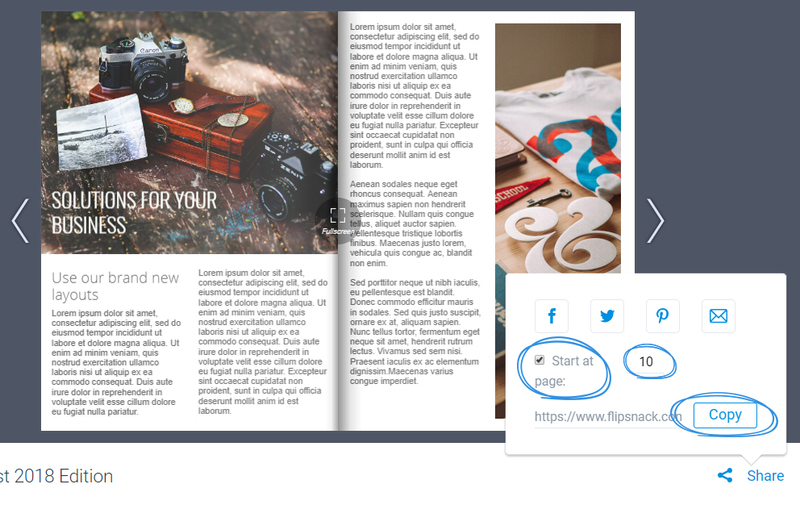 You can easily do this by clicking on the cover of the magazine in My Flipbooks so your flipbook opens in a new tab. Make sure to click on the Share option which appears. Then check the "Start at page" tick, select the page you want and click Copy. Now all you have to do is to send it. It is as simple as this to make sure your reader gets directly to the page which gets the spotlight.